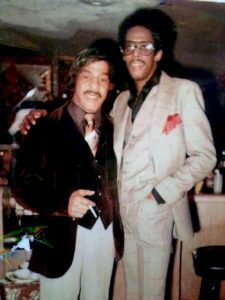 David Ruffin with his son David Ruffin Jr.
Len Merritt Sr. and David Ruffin of The Temptations at Len’s 47th Birthday Party. 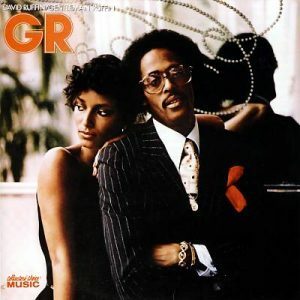 Gentleman Ruffin was the second album for his new label Warner Bros. The release of “So soon we Change” for Warner Bros in 1979 is considered to be his weakest record but it did feature BMH which according to some fans was one of the best songs he ever worked on. David went back to the Studio in 1980 to record “Gentleman Ruffin”. Producer Don Davis (who also produced “So soon we Change”) put up a nice set of songs which in my opinion sound much better than their first collaboration. It doesn`t offer a hit song like “Walk away from Love” which was released in 1975 on his “Who I’m I” album. But it could have been the beginning of something new if he had kept on recording. The Album has its moments and shouldn’t be missing in any Soul/R&B Collection. Remember it was 1980 and Disco was dying; the album fit perfectly in Soul/R&B mainstream of that time. 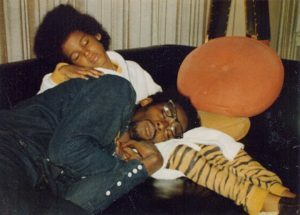 Leon Ware and Ronnie McNeir provided the backing vocals and that makes David Ruffin`s last solo record even more listenable.